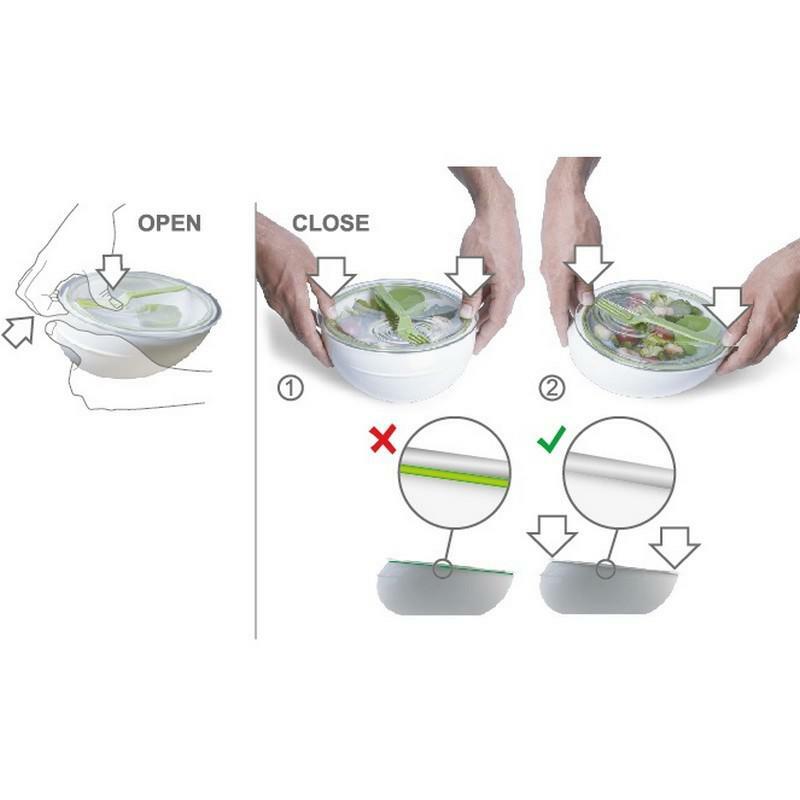 Lunch bowl by black + blum is a practical and convenient lunch box with ergonomic shape and plenty of room to take your lunch at work with you! Whether you are eating a leafy salad or a messy lasagne, our lunch bowl is the perfect solution. 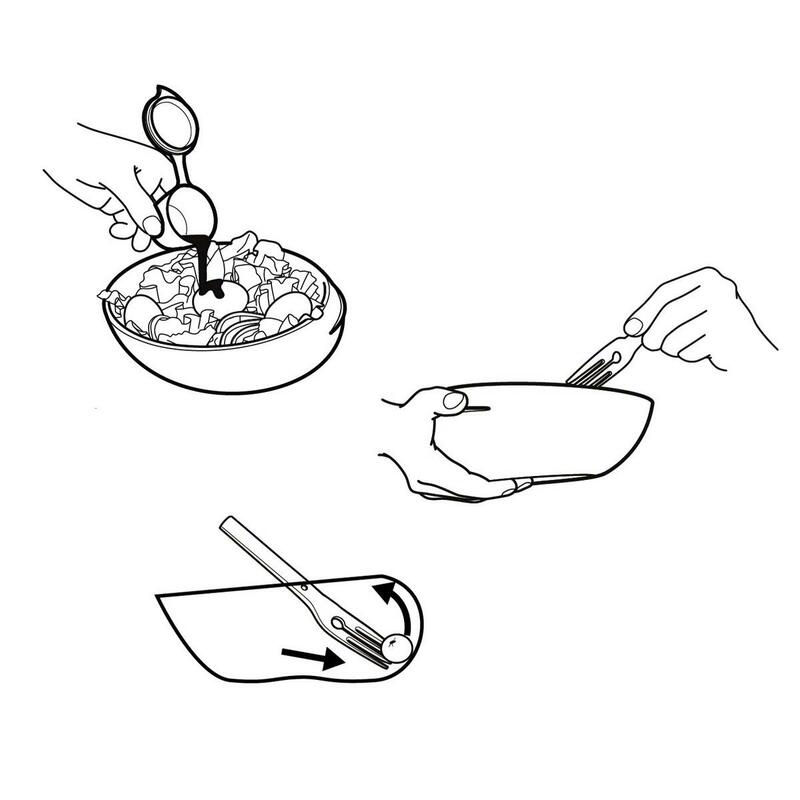 The ergonomic shape makes it easy to hold in one hand allowing you to use your fork with the other; and with one side overhanging, there will be no more slippery cherry tomatoes escaping onto your table! 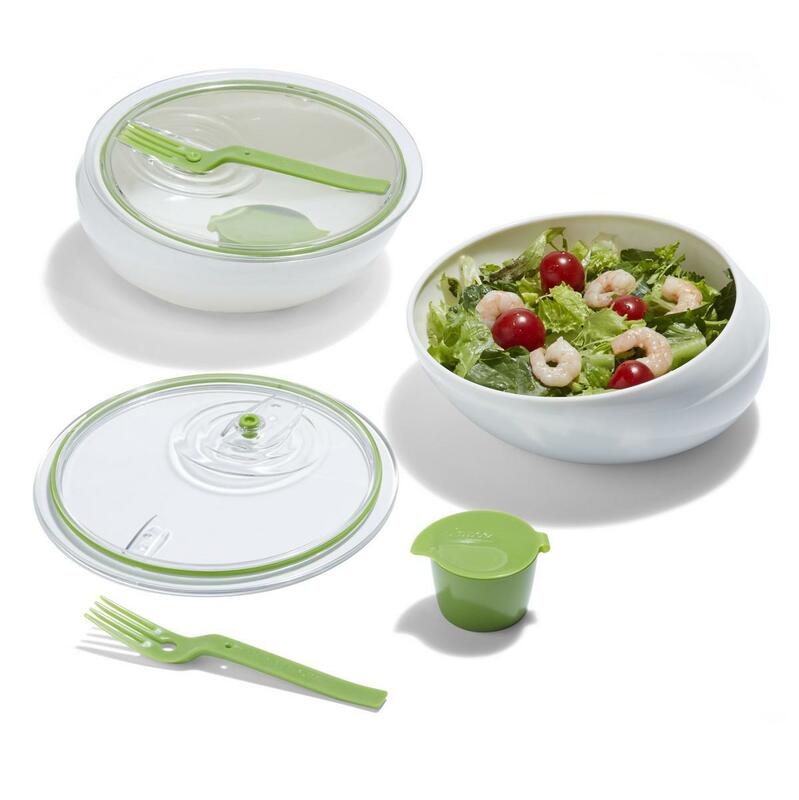 The watertight lid and sauce pot ensures safe traveling, whilst the fork securely attaches to the lid when not in use. 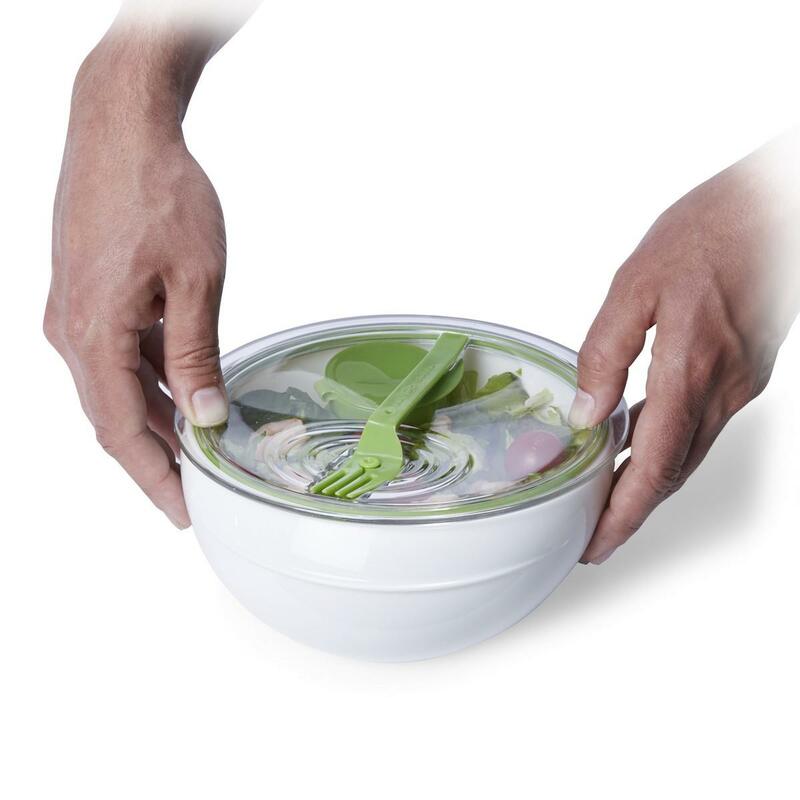 The lunch bowl is BPA free, microwave safe (except for the lid) and dishwasher safe. Material: pp, copolyester, silicone and LDPE. 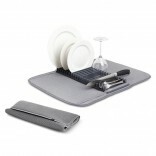 Dimensions: Length19.5 x Width 19.5 x Depth 8.5 cm. / Length 7.7 x Width 8.8 x Depth 3.4 in. 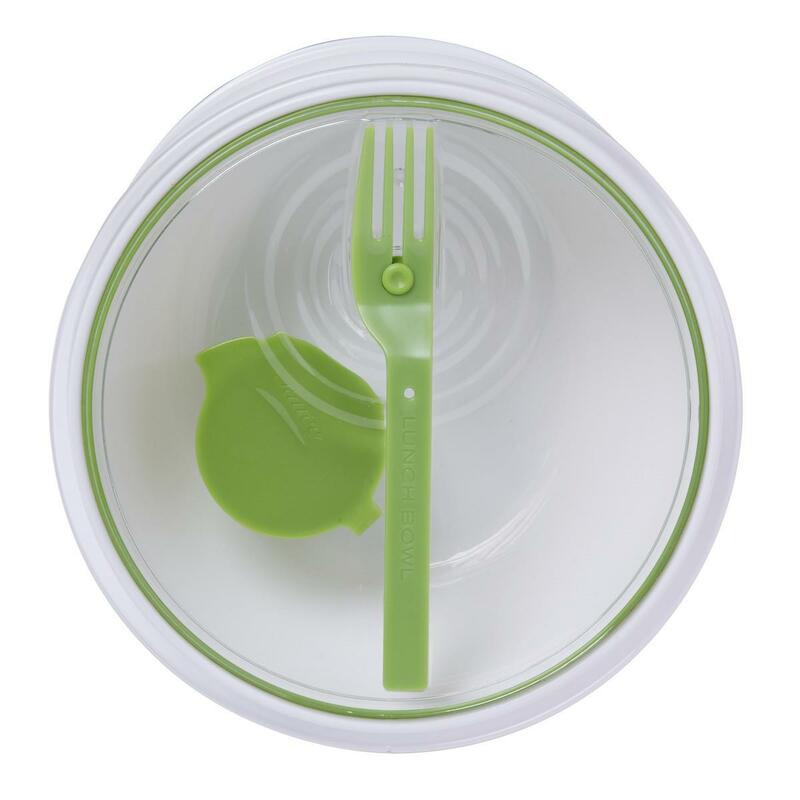 All materials are food safe and BPA free. Includes sauce pot and fork. Microwave safe (except the lid).